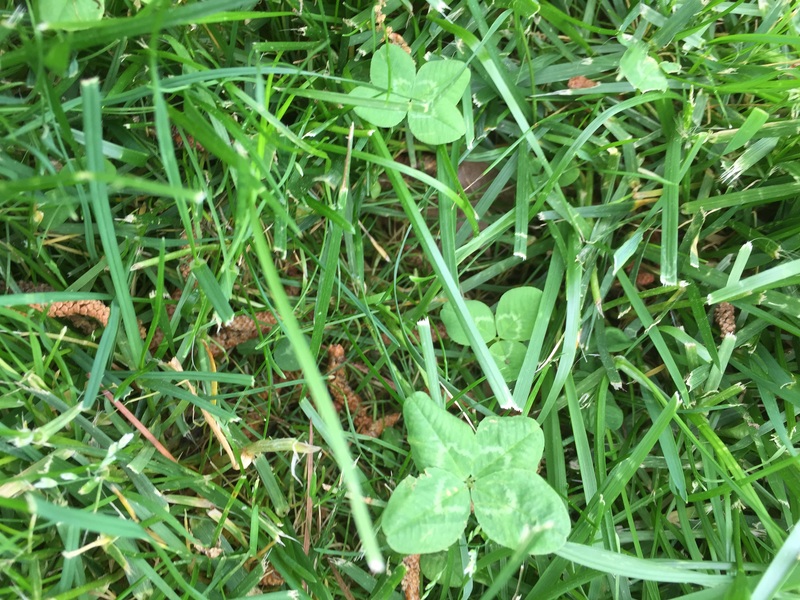 We have a four leaf clover patch in our yard. No, it’s not bunny bait although we know they hop around in our yard at night because we can smell them. We have that terrier nose. 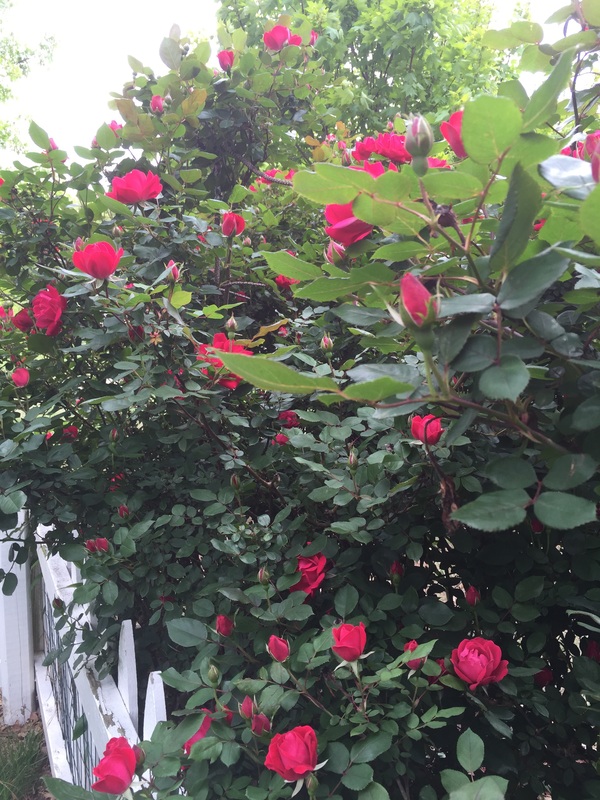 The Knockout roses are blooming. You will have an extra summer when you come to visit especially in Texas. You have a beautiful yard to play in–We wish we had a fenced in yard , so we could run free! Sometimes we go to a friend’s house , so we can race around without leashes–what fun. Mom likes your roses.~~Piper and Skye. We love your hard and all of it’s flora and fauna. Glad you don’t bop the bunny(ies). It’s bad karma, Mama sez. Lucy, we have a fenced in yard, too – but a few times the gate has been accidentally left open and WOOOOOO-HOOOOOOOO……TALK ABOUT FUN!! Girl, I didn’t know I could run that fast. 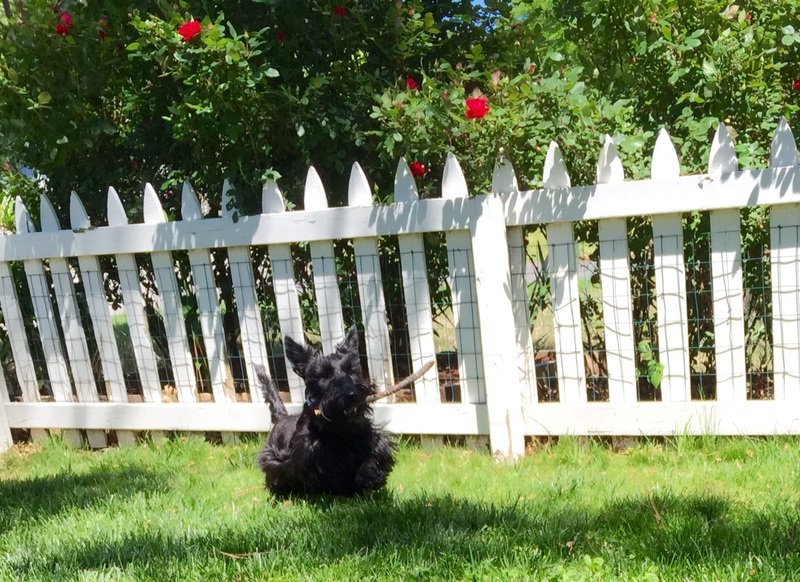 I always come back home (Mama gets apoplectic) but, as a Scottie would, I take my own sweet time. xxooo Yours in short but finely-tuned legs, Lulu Belle. We love to see everyone’s garden. We have tons of mangoes hanging from many trees. It is a shame that they fruit all at the same time. Our avocados are starting to grow. We are not allowed to have them, but we love the mangoes. Mom loves both of those. We like mangoes.